The Student Government Association held an open forum Oct. 2 to increase transparency and give students the opportunity to voice concerns for campus renovations and improvements. SGA’s Top Four were asked about improvements to older academic buildings, housing and accessibility issues. To freshman Alexander Harris, campus renovations are important. That sentiment seemed common among students who attended the forum. Chris Bird, SGA’s Service Vice President, said he was happy to see students concerned about improving campus. Bird announced the new academic building is on track to be completed by fall 2018 and said the SAC renovations are also on track. Bird believes the SAC will be a better place for Resident Student Organizations and students upon completion. For future renovations, housing and academic buildings will be the first items on the list. There are probable renovations to Threlkeld Hall, Miller Hall or Unitas Tower, and the possibility of a new dorm in the next three to five years. Academic buildings are the next priority, with specific focus on science, technology, engineering and math subject buildings to make them more technologically advanced and student friendly. The reoccurring theme throughout the meeting was the budget. 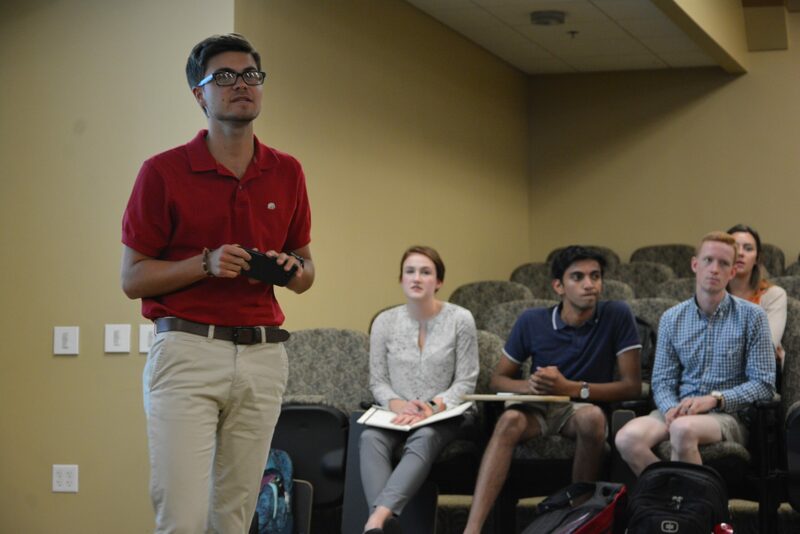 SGA President Vishnu Tirumala was careful to point out it is important to make plans for the future, even in the midst of the current budget crisis. Asked how the budget was going to affect future plans and renovations, Tirumala said the current budget deficit should only last for a year. He explained the current deficit is due to a problem with retention, causing the university to overestimate its revenue. Both Tirumala and Bird expressed the importance of continuing improvements so enrollment and retention can be raised to avoid future budget problems.